Have you ever wondered what it looks like to make a half million dollars with creative real estate investing and flipping houses? We’re talking a half million dollars in NET profits, after all expenses; closing costs, commissions, everything. A true-blue half million dollars. You’re about to discover the true story of how Joel went from slaving away in a kitchen as a chef and tens of thousands in debt, to where he is today, six figures cash in his bank account, out of debt, having made a half million dollars with the Freedom Mentor Apprentice program in a little over 2 years time. This video will inspire you but hopefully also challenge you because if Joel can do it, so can you! 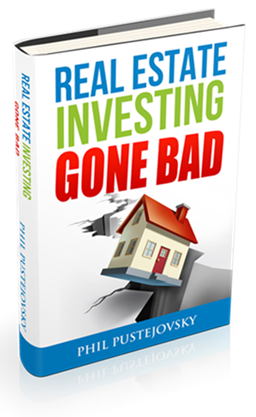 Joel Janson was a recently married newbie to real estate investing, when he became completely maxed out. He had done a few mobile home deals, made some cash flow, but kept running into problems that were causing him to be financially stretched. He had to work part time as a cook and it was becoming more and more difficult to keep his eye on the prize of financial freedom. He was lost on what to do and procrastinating. Then Joel found the Freedom Mentor program and decided to take a leap of faith and join. He figured that with the program’s structured guidance and commitment to help him learn how to help himself, it was worth a shot. 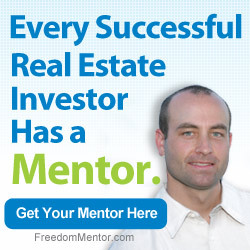 There were many programs and routes for real estate investing but Joel chose Freedom Mentor because he believed that because the program split the money with him, they would work harder at making sure he would succeed. Of course, there were concerns when Joel first started the program. He wondered, “Was this real? How will we succeed? Where will the money come from?” Once he joined, Joel began watching the videos, participating in conference calls, and implementing what he was learning. He immediately saw how involved the mentors are and how much help it was to have a tour guide showing you the ropes. Soon Joel begun to get some deals under contract and earned his first big deal. A seller had just lost his wife and needed to sell quickly. The house needed some work, and Joel had learned that it is best to never start out with rehabbing. So he wholesaled the house to an investor and ended up earning $13,000. Since then, Joel has closed multiple deals, earning over 500,000 since joining the program. The largest deal he has gotten thus far has been $93,000. Today Joel Janson is no longer in debt, with a six figure business account. Just last week, he closed a $63,000 deal. He is now a lot more stress free, has begun enjoying his hobbies more. He has started paddle boarding and kite boarding. I’m a Nigerian and I live in Nigeria, how can I benefit from these. please sir, I need help. I love real estate Biz. 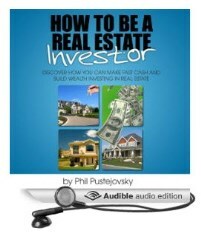 Im new to the real estate game and i dont have money to invest the way I would like. I dont know where to start literally. Great video. You really feel this guy Joel has accomplished something great other than making money. which really he has. Overcoming the fears and endless thoughts of how to get your first deal and actually make money is by the far the biggest obstacle to overcome,,because it is so possible and way more attainable than I ever thought..Also one realizes that money is the initial motivator but never remains the biggest priority and if it does your in trouble! One of many of my experiences after 6 years of Real Estate investing is some deals are just so difficult you want to choke someone,( usually your contractor or partner or appraiser or home inspector or sometimes your buyer) and then some are just so easy you cannot even believe you could make that amount of money in such little time with no difficulties. I could go on and on about my experiences in Real Estate because I absolutely love it and have done really well. Here”s where I am at today: the market is constantly changing and the strategies need to change with the fluid market. Continuing to be successful and repeat what I have done in the past is becoming my biggest challenge. In my biggest year,2013, I did over 30 flips and made well over 500k. Last year wasn”t as good but still good, my goodness don”t be so greedy. This year has started slow and remained slower than any other year. Adopting to the market and strategy to acquire deals is keeping me from the success I have previously experienced. So Mr. Pustejovsky what would your recommendation be and with that recommendation, which is probably the obvious, do you really think you could help someone in my situation? Thanks…..
Master the art of finding motivated sellers before everybody else. Phil, I’m watching your videos almost everyday and I want to thank you in advance for the success that comes with doing exactly the steps you put in front of us. It works!! I do not know what I am doing and I don’t have time to watch 9 hours of videos. Is there someone who could explain the basic ideas? Let me get this straight…you don’t know what to do, but you want to learn the skill of creatively investing in real estate so that you can make enough money to reach a better financial life without the same challenges that most people deal with, such as getting advanced degrees or high paying jobs, etc, but yet you don’t have a way to carve out a few hours into your busy life schedule to educate yourself? I’m afraid you may have to search elsewhere for the magic financial pill that you are after. If it was so easy, everyone would do this. That is a GREAT answer!! Wow amazing story I’m hooked! Great story! I have been watching you for a long time now, and think I an going to have to try and trust you are who you say. Very impressed by Joel’s results! Phil I started watching your videos in January while attending college on baseball, choir and, academic scholarships. I was involved with the business organization on campus and became associated with an alumnus that had been successful in real estate and was able to retire at the age of 38. I attempted to close some deals while attending college but wasn’t successful. School was too time consuming and took up too much of my day to focus on real estate and my other pursuits so I decided too stop going. That and it was too expensive I had over $20,000 in scholarships and still ended up owing $10,000 at the end of the year. Since I’ve been out of school I have been more focused on my business pursuits and have landed an amazing job and I am about to close my first deal within a week. I can’t thank you enough for what it is that you have done for me and others throughout the country! My name is Hosea Smith, I’m an investor in Los Angeles and I’ve been in the real estate business for about 6mos. and haven’t concluded my first deal yet, but when I do, I will LOVE for you to be my mentor. That time will be soon, I REALLY appreciate your teaching style and would love for you to be apart of my SUCCESS on taking it to the next level. I ALREADY VISUALIZED you as my mentor, this is going to be a great journey with you. Keep inspiring and giving, and sharing. THANKS !!!!!!!!!! Awesome video, I’m going to have to flip flip and flip to get the funds to sign up with you. See you soon! I am new in the business and have done a few deals with the courses,so I know it works. I could use some one on one,you cannot know too much. This is a brilliant history sir, and that challenges us to work even harder no matter what life bring on, Happy father day!. Congratulation Joel! Phil is an amazing mentor! This video has inspired me even more. Hi Phil. I truly enjoy getting your newsletter and learning from them. Phil. i had an opportunity to read your book, awesome, applied for mentorship in 2013 but could not follow through really bad timing health issues and financial issues. I thank You for all your videos and your willingness to help and encourage new investors. God has been great to me and my family back on my feet and raring to go. can i re apply for the apprenticeship program? i am located in Delaware. The testimonial videos are truly inspiring KEEP UP the GOOD WORK!! !